Each ring from the Sheinfeld Rodriguez Ore Series offers an inner narrative of the conceptualization, design, and manufacturing process of the studio. 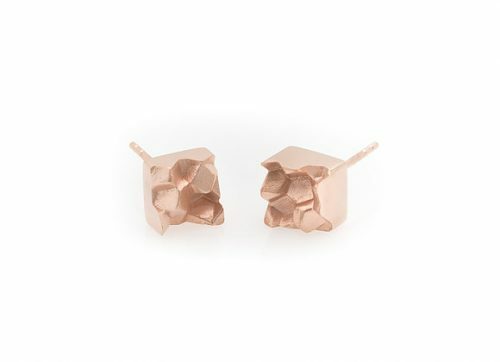 The sculptural pieces from this series are contemporary, wearable objects that boldly echo natural geological specimens. 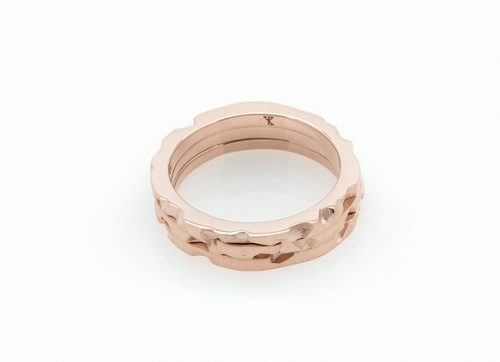 Like hidden treasures, each unique ring design embodies a figurative abstraction drawn from nature. The unusual rings are amorphous structures, amalgamations of sculpted mass and chaotic energy in shades of gold and silver. From emergent concept to finished piece, wax to noble metal, or from the initial intangible idea, to the impressions and marks made by the tools of our generational metalsmiths, the attentiveness and meticulousness imparted to each of our ring designs is contained within the final piece. The southernmost Hawaiian Island where the Sheinfeld Rodriguez studio is located is actively volcanic. Hawaiian volcanoes primarily generate a type of extrusive rock known as basalt. The inherent fluidity of molten basalt catalyses the formation of active lava flows. Once erupted, the molten lava begins to cool and solidify, transforming into a variety of shapes and colors. Color and configuration of solidified lava is dependent upon various temperatures and chemical compositions of the magma, and a myriad of shapes and types of lava rock are formed according to the way in which the magma cools. Any unique combination of chemical composition, minerals, grain size, texture, and other distinguishing characteristics determines various magmatic rock types. Through our examination we have drawn inspiration from many of these geological formations and their characteristic earth processes, and have applied our interpretation to each one of the unique ring designs in the Ore Series. 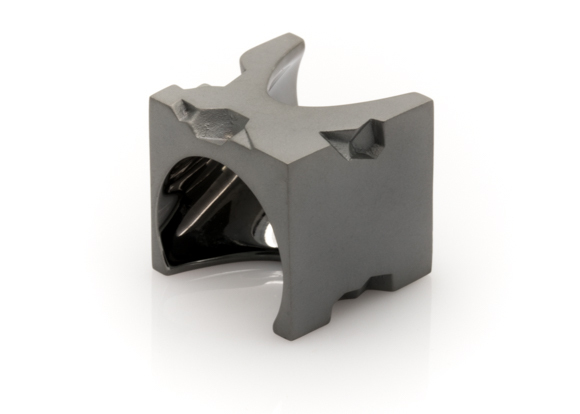 The unconventional jewelry from the Sheinfeld Rodriguez Ore series reveres and values nature in a distinct way. 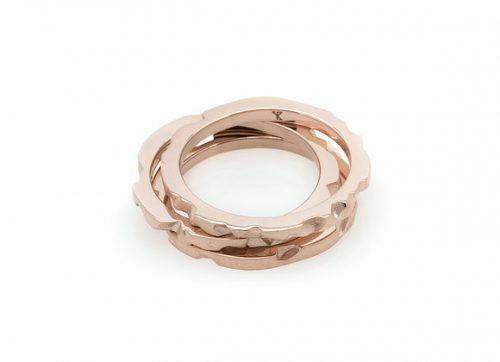 Particularly, the Ore ring series goes beyond mimicking geological forms as found in nature. Through research and experimentation, and with the use of diverse technological applications, we analyse the multiple processes by which natural forms and organic patterns are created. With the use of 3D printing technology our abstractions are transposed from the sphere of natural world to the realm of designed objects. 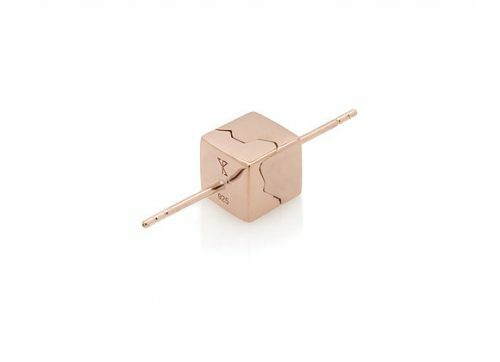 Our series of 24K gold, rose gold, Rhodium, and 925 Sterling silver rings, earrings, and pendants introduces a concept based not on what can be extracted from the natural world, but what can be experienced within it. Each of our designs is evolved from a direct occurrence, an observation, a consideration, or an investigation. 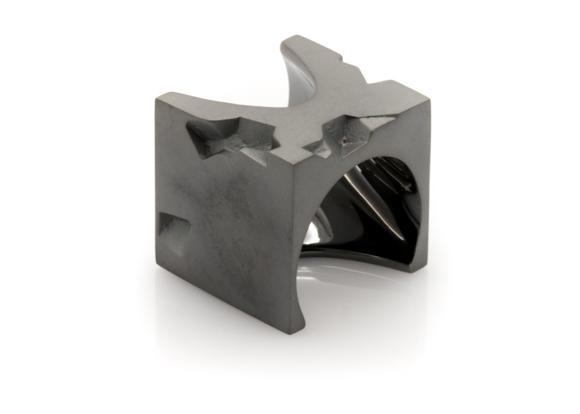 The name of each piece in this unusual ring series presents a decipherment of the piece itself. Our sleek Shale ring mirrors easily-split, fragile slabs of finely stratified sedimentary rock, while our playful Rift ring reflects a linear zone where the Earth’s crust and lithosphere have pulled apart. 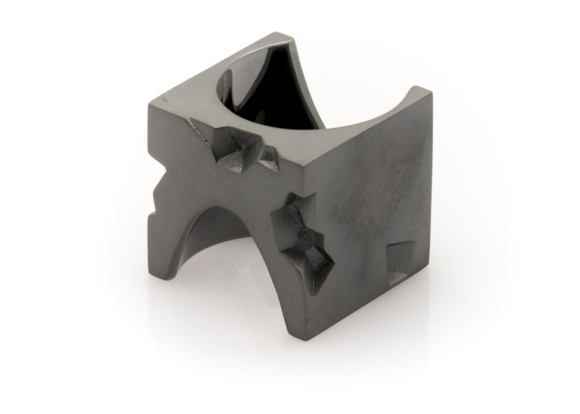 The Obsidian ring communicates glasslike volcanic rock formed by rapid solidification of lava, and the Nugget ring contemplates a small lump of precious metal found ready-formed in the earth. 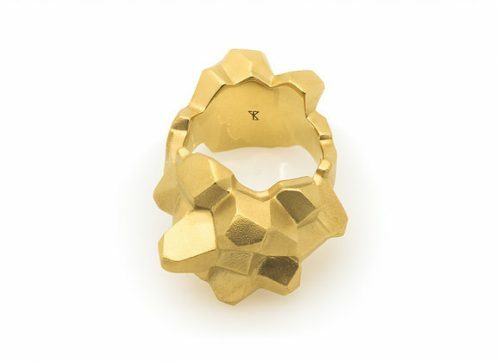 Like a quasicrystal, the Cluster ring parallels regular aggregation of molecules, whereas the Roca ring considers the distinctive mineral composition of common Hawaiian basalt. 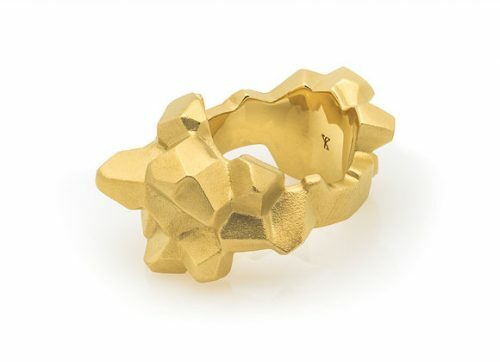 Each of these unique ring designs relates a fragment of our experience; each is an infinitesimal shred of our creative perception, and as well, each is a sharing of our life. ® 2018 Sheinfeld Rodriguez LLC - All Rights Reserved.